When the plug falls out, someone gets stranded, no fun. Since 1987 for Dodge and Chrysler vehicles and since 1991 for Jeep Family vehicles have alternators that are controlled by the Alternator Voltage Regulator Control Module inside the vehicle computer. This is often called the ECC, ECM, EEC, or PCM. Often the alternator voltage regulator, or field control module, in the ECU will fail, leaving you with a dead charging system where your alternator doesn't work, but your engine runs just fine. Before our external voltage regulator conversion kit, the entire ECU needed to be replaced at a cost of between $150 and $1800. 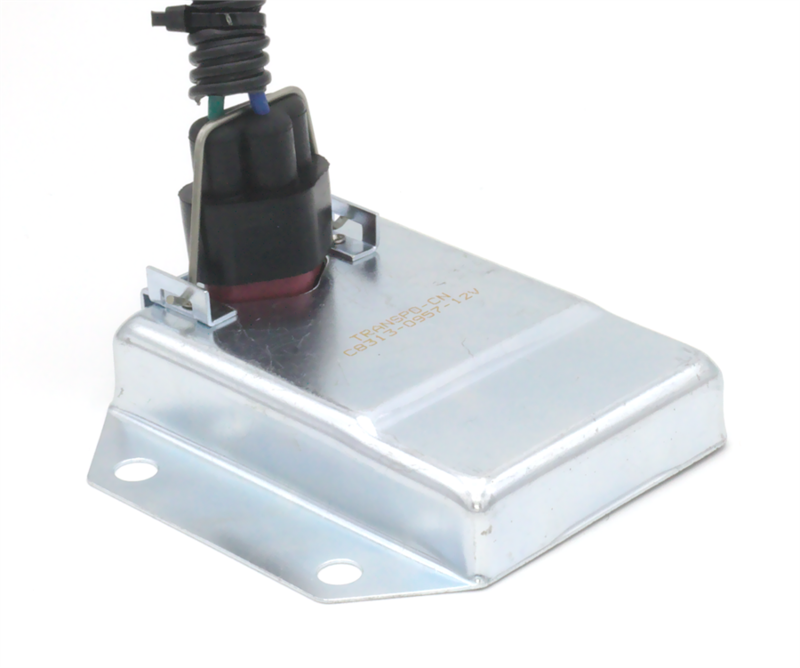 In order to avoid costly ECU replacement and get your alternator working, you can simply bypass the internal Alternator Voltage Regulator Control Module using our simple External Voltage Regulator Conversion Kit. Note: This kit will not put out the check engine light, USE KIT #ERCKFRM which comes with the field replacement module to put out the light. To check to see if your alternator is working, unplug or remove the two field wires from the back of the alternator. 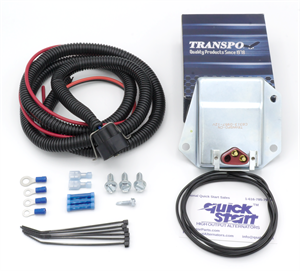 Then ground one of the field terminals on the alternator and jumper the other field terminal to the positive battery post on the back of the alternator. It does not matter which terminal is grounded and which one get positive power. When you connect the ground and positive wires to the field terminals you will get a small spark, this is normal. This is by-passing the voltage control and will cause your alternator to run full blast, if it is working. Put a multi-meter on your battery and run your engine on high idle, do not allow your alternator to charge the battery much over 16 volts. If you find that your alternator is charging when you do this procedure, but does not charge when you connect it back to the computer, this kit will get your alternator working and charging at the proper voltage. The voltage regulator is preset at 14.5 volts. 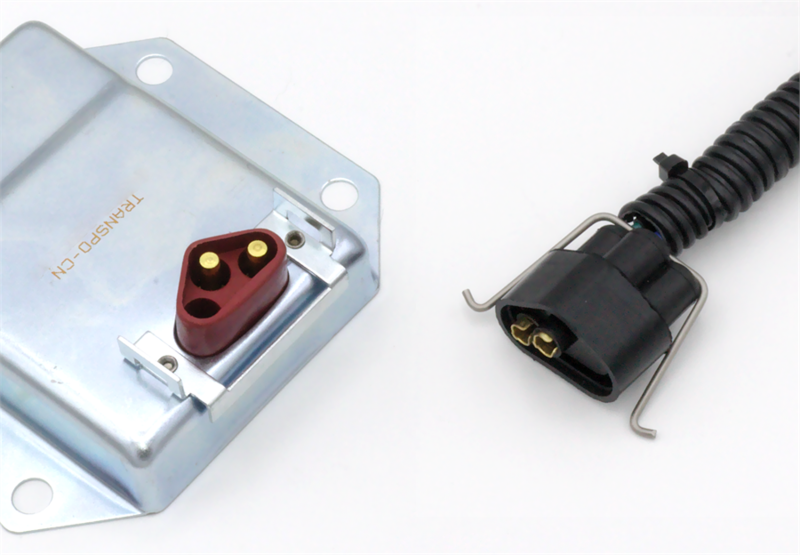 If you want to adjust the voltage regulator you use the screw on the back, but be sure the metal case of the voltage regulator is grounded while you adjust it.